This hotel is 100 pct non-smoking. The Hampton Inn Houston - Northwest hotel is conveniently located in Houston Texas at Highway 290 and FM 1960 and the Highway 6 exit. The Hampton Inn hotel in Houston Texas is located on Highway 290 the major route to Austin Texas just 3 miles from the Sam Houston Toll Road also known as Beltway 8 which connects to Bush International Airport and to all other major freeways including the North West Business Corridor. Located near this northwest Houston Texas area hotel include some major companies like Wyman Gordon Serta Mattress Hewlett Packard Daniel Valve/SPX and many others. The Hampton Inn Houston - Northwest hotel features 62 rooms including a selection of spacious rooms with 2 queen beds king beds with recliner and work desk or king study rooms with a sofa and a work desk. The Hampton Inn Northwest hotel in Houston Texas also has 2 whirlpool suites interior corridors non smoking floors and the hotel is pleased to offer our guests complimentary use of Bally*s Fitness facility located just minutes from the hotel. Other amenities of the Hampton Inn Northwest hotel in Houston Texas include in-room coffeemaker hair dryer irons and boards 25** TV with complimentary HBO movie channel FOX Channels pay per view movies Nintendo games data ports and complimentary high-speed wireless internet in each room. Guests of this Texas Hampton Inn Houston - Northwest hotel can enjoy the complimentary On the House hot breakfast and the On the Run breakfast bags /available Monday-Friday/. 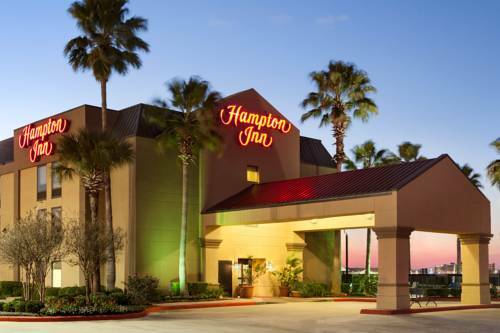 The Hampton Inn hotel in Houston Texas also offers connecting rooms cribs rollaway beds and laundry/valet services /at a nominal fee/. We strive to provide 100 guest satisfaction in the name of Hampton Ultimate Service. We love having you here at the Hampton Inn Houston - Northwest hotel in Houston Texas. - Cy-Fairbanks Ind School DT.